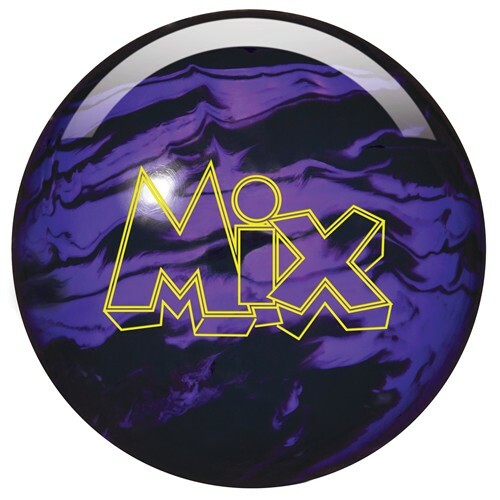 Storm is MIXing it up with the new Storm Mix, this ball is best used for the bowler who needs a colorful spare ball. Because this ball has a urethane coverstock it can also be used as your strike ball since it works best on the driest of conditions. Mix it up! More than a spare ball. I see everyone saying how this is a spare ball but I am very rev dominant so this makes a great first ball out of the bag. Very easy to use because it's not snappy like some of the reactive balls out there. Most nights I only need to make slight hand position adjustments with the occasional move left and I can be consistent over 4 games on my late league. According to the manufacturer, this ball is not U1S™ Pearl Urethane. But, hey, what does Storm know? The oil today is lousy (Kegel makes the junk). You gotta have these balls and other Urethanes. I have 6 Storm Urethanes. They all roll a different, but they don't jump away from the pocket at 59'. I am buying another one of these because of what it is. Hello! Yes, this is meant to be used as a spare ball. Do you have a Storm Mix in a 13lb 5 or 6oz? Hello! The Storm Mix bowling balls are unscented. Due to the time it takes to produce the Storm Mix Black/Purple ball it will ship in immediately. We cannot ship this ball outside the United States.